SVEEP Festival 2019 was held in BBK DAV College for Women, Amritsar in collaboration with District Administration. 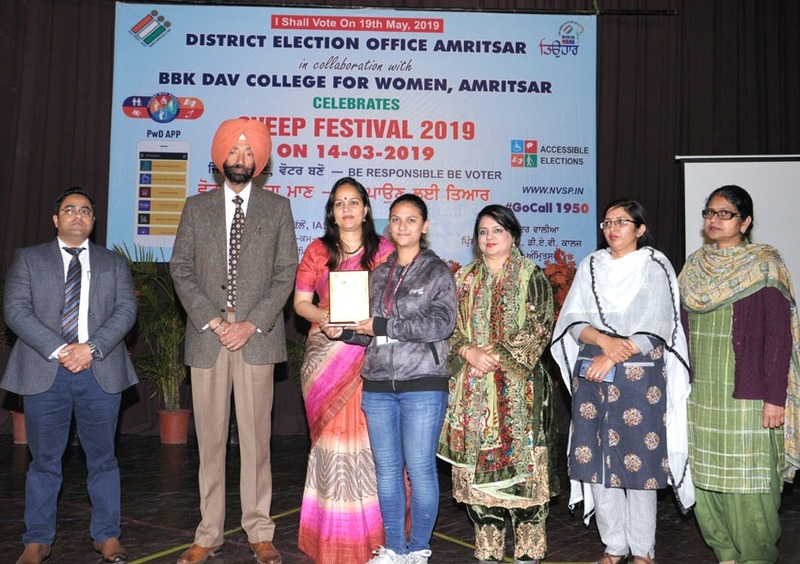 This festival was held in order to motivate youth to go in for voting. This initiative was taken in order to implement Election Commission’s drive of SVEEP (Systematic Voters Education and Electoral Participation). 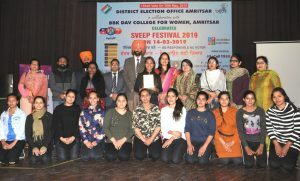 The Election Commission of India carries on various interventions for strengthening and enhancing quantity electoral participation. 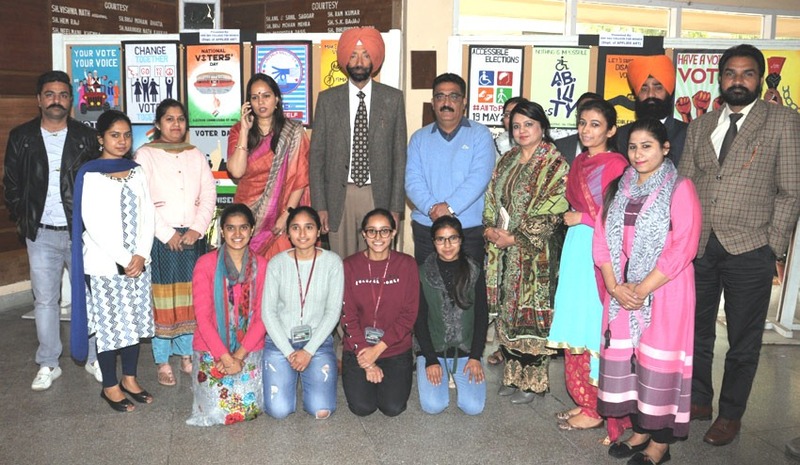 Our college Electoral Literacy Club regularly tries to promote, electoral literacy among the students through discussions, lectures and debates. 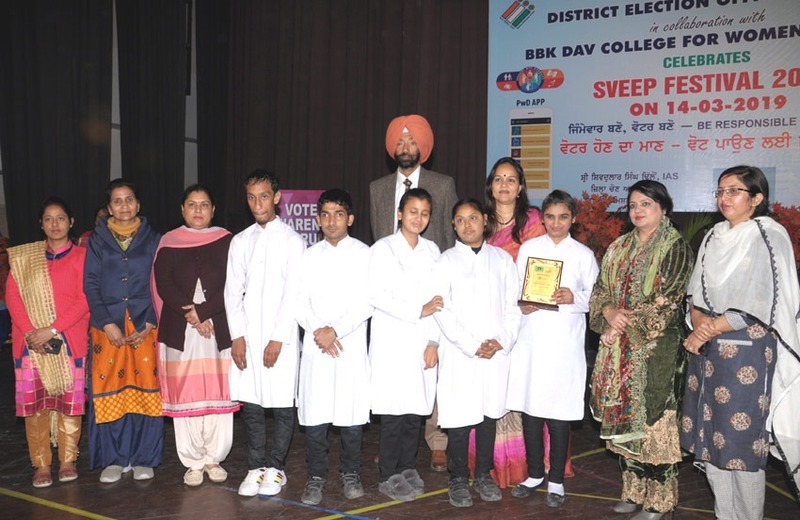 On this occasion, a model Polling booth was made and students were appraised about its working. 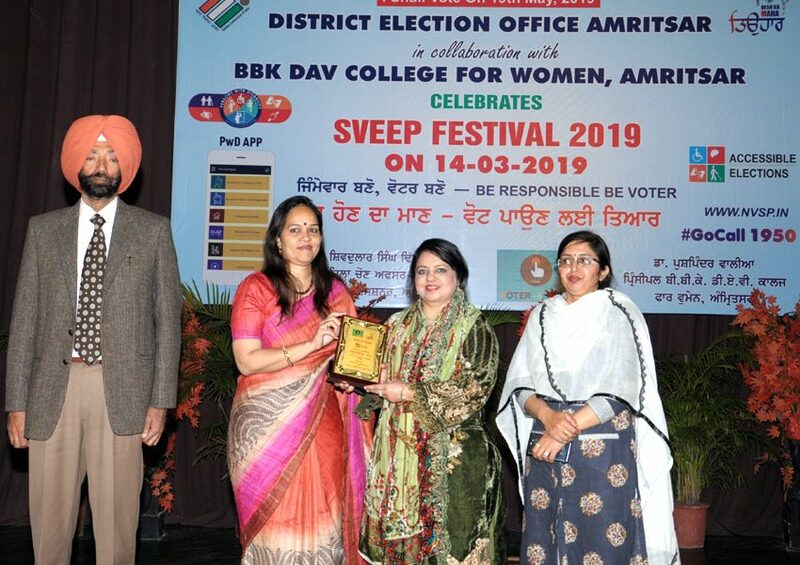 Mrs. Kavita Singh, Additional CEO, Punjab. 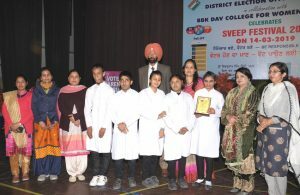 (State Nodal Officer) SVEEP and Mr. Shivdular Singh Dhillon, IAS, Deputy Commissioner also graced on the occasion. A human chain was formed to illustrate the point. 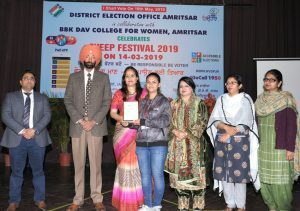 A play to encourage ethical voting was staged by B.Voc Theatre Department of the college. 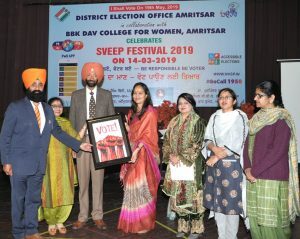 Principal Dr. Pushpinder Walia was honoured by Mrs. Kavita Singh, Additional CEO, Punjab and Deputy Commissioner Mr. Shivdular Singh Dhillon for promoting electoral literacy in the college.